Black is back! 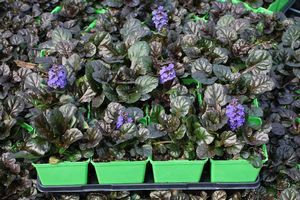 Dark purplish-black, glossy leaves are fat and scallop-shaped, hugging the ground at 4-6”. 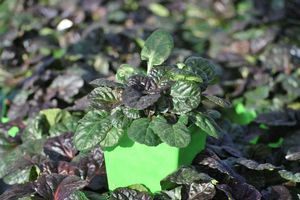 Performing well in partial shade in the container or bed, if planted in full sun it will produce the darkest leaf color and will quickly fill in with a mounding habit. 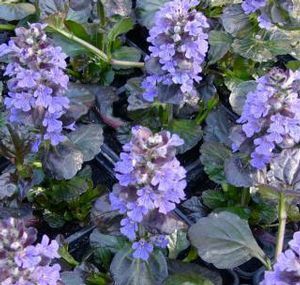 Deep blue flower spikes stand out against the dark foliage from late spring to early summer. 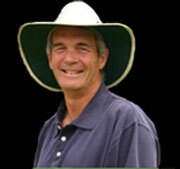 Suitable for many soil types and moisture levels.